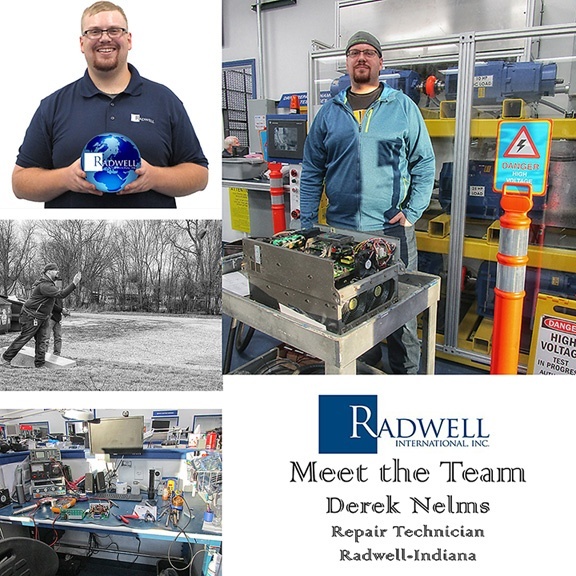 In this week’s Meet the Team, we’re highlighting Derek Nelms, a Repair technician at Radwell-Indiana. Fun fact about your job that others might not be aware of: Sometimes on these drive repairs we get to make service calls to help our customers. These service calls have led to many more opportunities heading into the future. Favorite quote: How does the posi track on a 1967 Pontiac work? It just does. What would you change if you knew you were never going to die? I would probably change nothing. I consider myself to be an introvert and tend to stick to myself. I guess if I was to change something I would take more chances and live a bit more dangerously. What’s the worst that could happen? Die? Tell us a unique fact about you that others may not know. I love shooting guns and going fast. However you are not allowed to do both at the same time. Still haven’t figured out why yet.